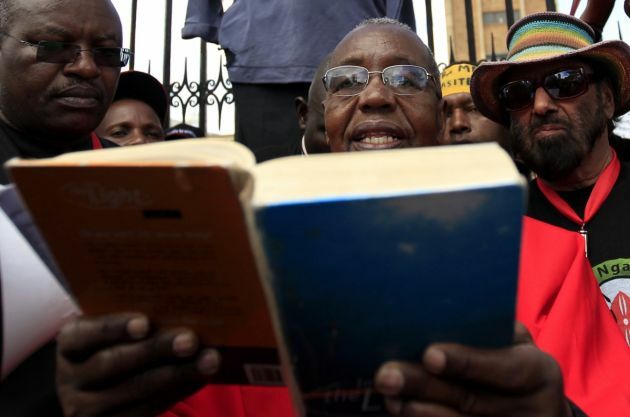 Catholic, Evangelical, and Pentecostal churches along with Muslims resisting Kenya's attempts to "control worship" appear to have had an impact after the government said it needs to think more on new proposals. President Uhuru Kenyatta's Jubilee party announced in December it intended to push through new laws to tightly restrict religious leaders and preachers. The intended legislation would have enabled government officials to demand to see a detailed copy of a "mission statement" for a ministry. The law would have sought preaching restriction and appeals for money on television - televangelism - before next year's general election for lawmakers to serve in the national parliament. Chairman of the Kenya Conference of Catholic Bishops, Philip Anyolo, said that the new rules were a "clear violation of the constitution" that is "explicitly clear on the freedom of worship." "The new rules give the registrar sweeping powers, including the power to invade Churches to conduct impromptu audit," said in a letter to the president also signed by 25 senior Catholic clergy. "The Catholic Church is a people of God. As such, the State cannot purport to audit the faith of the people of God." Christians make up more than 80 percent of Kenya's 45 million people with Catholics the largest tradition, although all Protestants outnumber them. Muslims make up some 11 percent of the population. The move is aimed at stopping the growth of evangelical churches, the Evangelical Alliance of Kenya asserted and it was reported that evanegelicals might vote in droves against the govenrment in the scheduled 2017 elections. But a leading Anglican cleric welcomed the proposals as an attempt to end the "commercialization" of religion, the BBC reported. However, Anglican Church of Kenya Bishop Beneah Salah said government intervention is needed because the Church was not in a healthy state. "Horrible things are happening in the Church today. There is a lot of commercialization of the gospel with this prosperity gospel," The Standard quoted him as saying. "Perhaps God is using the State to punish the church as he did in the past, where he used kings or nations to discipline the church," he noted. President Kenyatta is himself a Roman Catholic and on Jan. 14 his office issued a statement noting "the current debate on the proposed Religious Societies Rules 2015." His spokesperson, Manoah Esipisu said, "The President has directed the Attorney-General, Professor Githu Muigai, to ensure that all proposals relating to the creation of a framework for religious societies and organizations is undertaken after thorough and exhaustive consultations with all groups, bearing in mind the sacrosanct constitutional principles governing the freedom of religion and worship. "The President has further directed the Attorney-General to ensure that the current draft regulations are subjected to further vigorous public consultations so that they in no way undermine the fundamental values and principles enshrined in the constitution, and which are a way of life for the people of Kenya."